Charm Dance Company is a traditional and creative Korean Dance Team founded by a group of professional dancers in 2016. They are recognized as a rapidly growing leader and the most active Korean traditional dance team in Korean traditional art, in the Greater Vancouver area. Charm Dance Company seeks to expand the horizon of Korean traditional dance to an art form that every audience can connect to. The members of Charm Dance Company have more than 100 years of collective dance and choreographic experience between them. 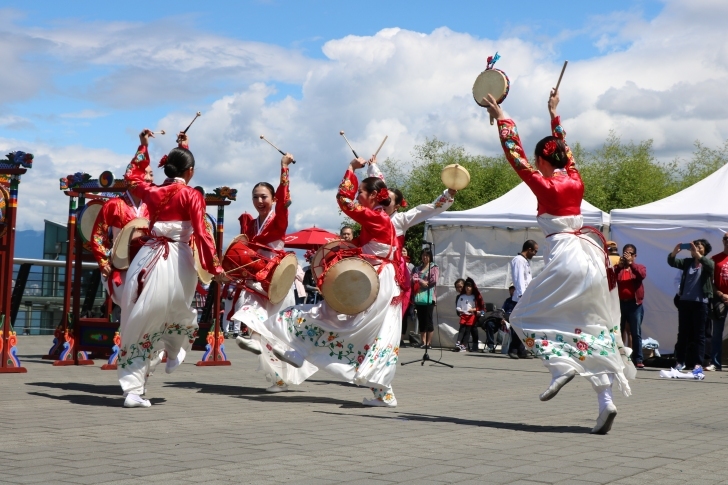 They have performed in various multi-cultural events in the Vancouver area and expressed the beauty and dynamics of Korean traditional culture through elegant dance moves and powerful beats. Previous highlight performances include playing the Three Drum Dance for the 150th Canada Day Parade in 2017 and in 2018 the team performed the Sound of Korea, an entire drum dance series work for Canada Day at Canada Place. Charm Dance Company also performs regularly at the Korean Heritage Festival. Do not miss a chance to see this very unique cultural performance for the first time ever on the Zoomershow Main Stage!